Geo 6 days, 7 hours ago. The irony of the JPEG name! 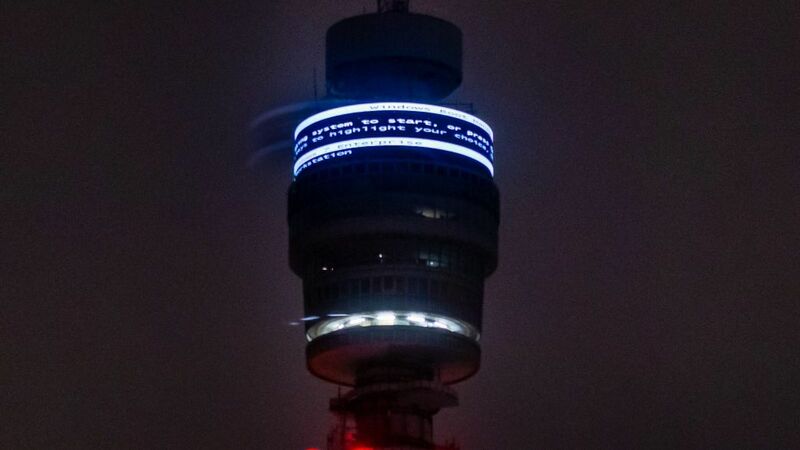 As the tower broadcasts London communications signals to the rest of the UK, the use of the antique Windows 7 software amused Londoners. Given that Windows 7 still has significant market share (only having been eclipsed recently by the now nearly 4 year old Windows 10), is still being supported with security updates, and is still regarded by many as the best version of Windows ever released, I don’t see why Londoners would have found this amusing other than to laugh at Windows in general. I would have expected to see Windows 98 or something similar from the headline, but Windows 7 isn’t even out of support yet. Windows 7 isn’t likely to bluescreen simply because it’s old. If anything, it’s less likely, as the lack of new features (which invariably introduce bugs) and the continued application of new fixes stabilizes a code base. Of course, you have to temper that with Microsoft’s recent ill-advised policy of not testing anything adequately before release, which means you’re much more likely to run into bluescreens and other issues if you keep Windows 7 up to date. If you use Windows patches from the time where they had an actual testing department, which is still an option with Windows versions other than 10, you’re much less likely to see a bluescreen. More likely to get malware, though, but for a PC running a marquee, it may be that internet connectivity is not needed. The general definition of “antique” is anything at least a hundred years old. Windows 7 is short of that by more than 90 years– and if you consider that it’s still being updated now, you might even consider it to be 0 years old if fully up to date on patches. Most Windows users won’t recognize that, as it only appears by default if they have more than one version of Windows installed. I could not read the article explaining what happened, because it has been posted in, to me, an unknown site where, as soon as I was connected, a pop-up appeared right in the middle of the screen before I could see what was written, telling me to turn off the add blocker or to login. Neither of which was my favorite (or in the latter case, even possible) choice. My curiosity will get you only that far and no further. But, from what has been written here quoting from that article, it looks to me like the computer was on double or multiple boot with other operating system(s). The message copied by Ascaris ( #417262 ) suggests it was something coming from the UEFI (or BIOS) of the machine running the “antique Windows 7” and not from the antique itself. Either they had a bad patch over there (and, if for April, then it is still early days for patching) and someone not very good or plain clueless was in charge of the machine and or the operations that required its use. My guess would be that the Pimply Faced Youth, following the sneaky instructions of the BOFH, under the protection of the company’s CEO, his dear Uncle Brian, and with full and matter-of-course approval from the Boss, was in charge of the machine, or even the whole LAN at the time. Doesn’t matter which OS you use. It’s the actual users ability. GIGO.